We are now taking reservation for 2019 mated Carpathian queens. £5 deposit is paid to reserve your queen, the balance of £34 will be invoiced when the queens are ready. Please do bear in mind the dates are provisional and the weeks may slip back depending on the weather. As soon as we have information on dates we will email you with an update. The Carpathian bee is from the Carpathian Mountains, the last wilderness in Europe. 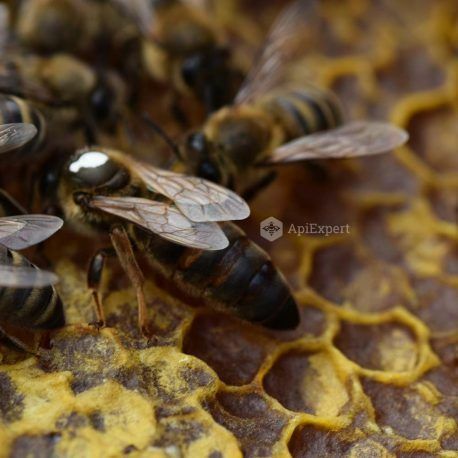 The temperament and behaviour is quite similar to the Apis Mellifera Carnica, so much so that Brother Adam believed the Carpathian to be a sub-variety of the much loved Carniolan. She is nicknamed "Cinderella", for her quiet, persevering dedicated work. They are characterized by their peacefulness and easy handling, good winter hardiness, early spring development, with a moderate swarming tendency and efficient use of early honey flow. 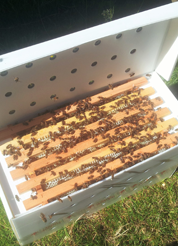 The queen has a high egg production, strong colonies build up by the time the main honey flow is on. These F1 Queens are breed by our Romanian breeder. They are a family run business who have been raising queens for many generations. All our queens are naturally open mated. We do not sell artificially inseminated queens (AI).